Civilians should never be targeted in war and deserve to live in peace and security. 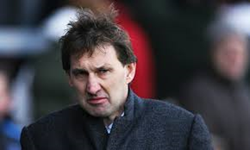 Tony Adams ranks amongst the UK’s most renowned and recognisable footballers. Known as ‘Mr Arsenal’, he appeared for that team over 500 times in 22-year career and gained 66 caps for the English national side. He also captained the national team. Since 2010, he has worked in Azerbaijan, initially as manager of Gabala FC and then as Director of the multidisciplinary Gabala Sports Club. Upon hearing of the flare-up in violence in the Armenian–Azerbaijani conflict over Nagorno-Karabakh, he commented: “I have lived and worked in Azerbaijan and visited many of the communities which came under fire last week. It is a tragedy that people who have suffered so much in the past are now being killed, wounded and displaced once again.